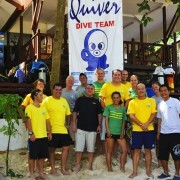 Founded in 2005 by Kin and Aikin Voon, Quiver Dive Team has grown from a small beach front dive shop into one of Malaysia’s top dive schools, winning year after year several notable awards which help reaffirm its dedication to professional, safe and fun scuba diving. We have three dive centres on Perhentian Kecil, at Coral Bay, Dungun and Lumut, where we certify over 1000 divers every year in our extensive range of PADI courses. - Outstanding contribution to the diving industry – Diver Rentention. 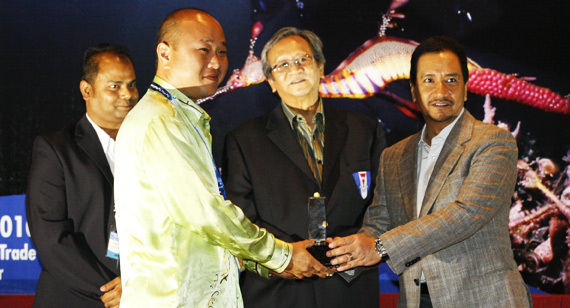 - Owner Kin Voon received the Outstanding Dive Centre and Diver Education in Malaysia – from The King of Malaysia! At Quiver we always put the our divers first – which is why we continuously employ highly experienced and award winning instructors to ensure our courses are delivered to the highest standards possible. We continously monitor our course programs and the way they are taught to ensure divers receive great value for money and professional service.